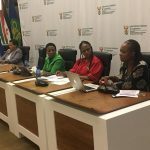 On Monday, 25 May the Pan African Parliament (PAP) hosted an Africa Day celebration under the theme “2015 The Year of Women’s Empowerment and Development Towards Africa’s Agenda 2063”. 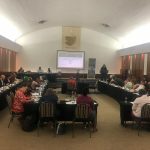 The event was chaired by Advocate Madasa and Dr Nkosazana Zuma Dlamini was the keynote speaker. Other speakers consisted of Madame Assetou KOITE, President of Pan African Women’s Organisation (PAWO), Mrs Phumzile MLAMBO-NGCUKA, United Nations under Secretary General & The Executive Director of UN Women, Ambassador Bene L. M’POKO, Dean of the African Ambassadors to RSA and Ambassador Gertrude I. MONGELLA, First President of the Pan-African Parliament. 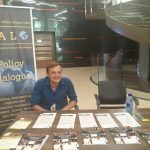 The Southern African Liaison Office (SALO) was part of the civil society organisations granted the opportunity to exhibit information about their organisations. 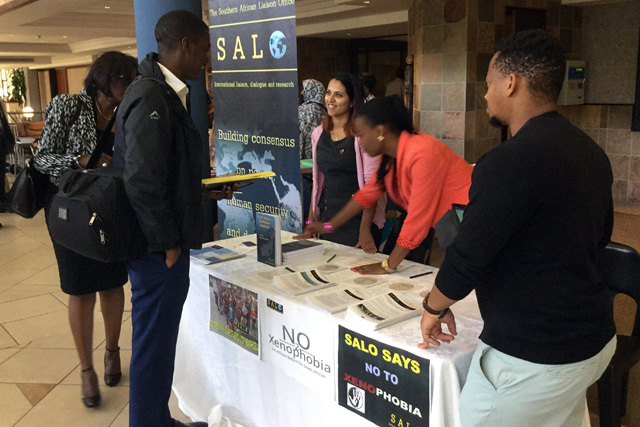 The SALO team also had the privilege to interact with various African parliamentarians and distributed knowledge products generated from SALO dialogues. 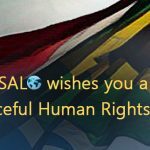 On the 21st of May, The Deputy Minister of Justice and Constitutional Development, John Jeffery, addressed a SALO gathering in Cape Town on the topic of Hate Crimes, specifically pertaining to Xenophobia, sexual and gender-based violence, religious intolerance, and racism. The end of the United Nations’ Millennium Development Goals (MDGs) is an opportunity for reflection and a global exercise towards the definition of a new developmental trajectory. This Post-2015 Developmental Agenda promises to be transformative and inclusive, requiring in-depth debate by all stakeholders, in particular previously excluded voices of the youth in Africa. Dubbed the “Dark Continent”, Africa is home to immense poverty, inequality and insecurity; having in the past attracted considerable attention during the MDG processes. Nevertheless, little has changed in the African continent since the initial MDG process which brings to question: What is the way forward for development goals in Africa? How can Africa contribute to a better world? How can the post-2015 development framework be best positioned to contribute to a better Africa? As the world gears towards the United Nations summit for the adoption of the post-2015 development agenda, 25 to 27 September 2015, in New York, Africa prepares the complementary Africa 2063 Vision to address these questions. Agenda 2063 is a set of seven aspirations identified by the African Union, aimed at uplifting, empowering and developing Africa towards the year 2063. Within the regional and global processes influencing the developmental agenda, South Africa is a notable peace and security actor on the African continent. 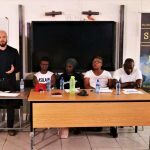 In recognising the need for an informed state actor, this series of panel discussion, is an opportunity for youth in South Africa to lend their voices to their inclusive agenda. This panel discussion will seek to address how Agenda 2063 plays a pivotal role in the Post-2015 development agenda, with a special focus on the 4th aspiration “A Peaceful and Secure Africa”, specifically with a focus on the role of the youth…. A delegation from the International Trade Union Confederation (Ituc) has concluded an inspection tour of Swaziland with a condemnation of the government for repressing workers’ rights and enabling police to crack down on pro-democracy activists. The criticism should dim hopes by the government that the US will readmit the country into the African Growth and Opportunities Act (Agoa) trade scheme. “Repressive legislation used by police against union activities still has not been addressed by parliament, even as the government continues to imprison human rights activists for exercising their right to freedom of speech,” said a report by the US American Federation of Labor and Congress of Industrial Organisations (AFL/CIO), which was part of the Ituc delegation. 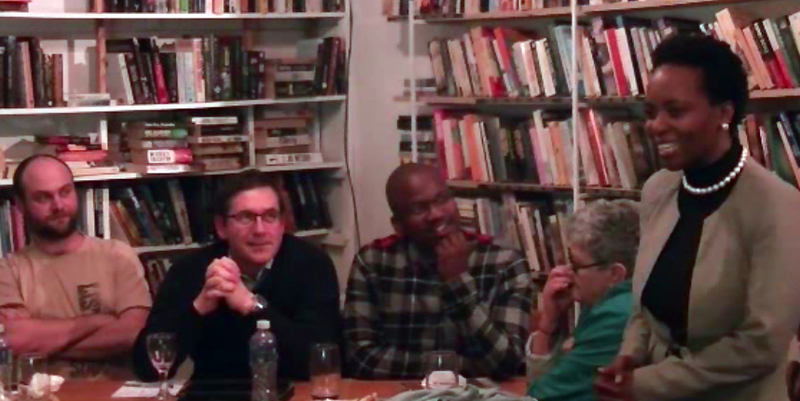 Around the anniversary of their arrest on May 1 this year, Swazi political prisoners Mario Masuku and Maxwell Dlamini were moved to the Matsapha Correctional Facility in Swaziland, where mainly convicted prisoners are held, although they are awaiting trial and have not been convicted of a crime. They were denied access to reading materials and kept in solitary confinement overnight, which meant they had no access to ablution facilities or water. Their lawyers say their food was highly restricted and that the two were not allowed to exercise. A list of Zimbabwe’s 50 richest people circulating in the country is “garbage”, Information Minister Jonathan Moyo said Monday, after his former deputy was included in the rankings. Longtime President Robert Mugabe, 91, and his wife do not appear on “Zim’s Top 50 Rich List”, compiled by a firm called X Research and Intelligence and published in the state-controlled Sunday Mail newspaper. Expensive Hong Kong lawyers were due in court on Monday representing Zimbabwe’s “secret project”, which is a R7 million villa much loved by first lady Grace Mugabe. Many say she believes she owns the three-storey building. She spent time there as her daughter, Bona, used it while she was studying commerce at university in Hong Kong. Ownership of the flat is disputed as Jack Ping, a Taiwanese-born businessman, who lives in Joburg, claims he bought and paid for it in 2008, first via a company, Cross Global, and he then says he transferred it into his name two years later. OPPOSITION MDC-T leader Morgan Tsvangirai yesterday took a swipe at Vice-President Emmerson Mnangangwa describing him as a “small boy” with no political clout to challenge for the Presidency. Addressing a No reforms No Elections campaign rally in Kuwadzana, Harare, Tsvangirai said: “I told Mnangagwa one word that I don’t compete with you. Xenophobia must be countered by spreading the message to ordinary South Africans about the huge benefits which the rest of Africa brought to this country, Minister of Economic Development Ebrahim Patel said on Monday. 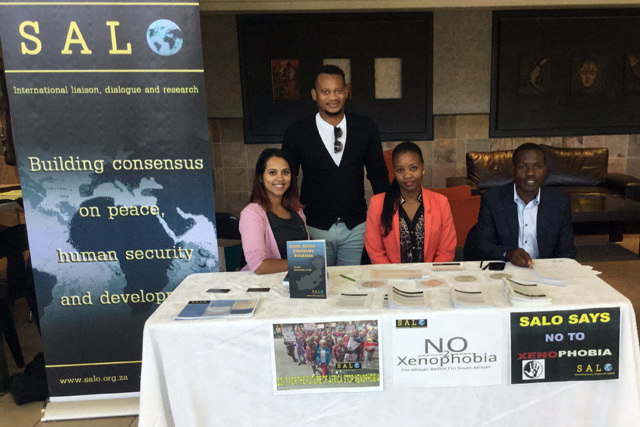 He was speaking at an Africa Day symposium held at the University of Johannesburg (UJ) on Monday, one of many Africa Day events held across South Africa, largely inspired by the recent explosion of xenophobic violence, as UJ’s Farid Essack said. Six people have been put in isolation in prison in Guinea after being accused of travelling with a corpse of a relative who had died of Ebola. The authorities said the body was seated upright in a taxi, dressed in a T-shirt and jeans with sunglasses and sandwiched between three others. If after 21 days they show no signs of having the virus they will be tried for violating the health emergency. Guinea is battling to control a flare up in Ebola cases. Nearly 2,500 people have died in Guinea since the West Africa Ebola outbreak began more than a year ago. Each year, Africa Day is an opportunity to celebrate the continent’s achievements and to reflect on its challenges, United Nations Secretary-General Ban Ki-moon said today, highlighting the courage and determination it took to make remarkable progress to end the Ebola outbreak and urging leaders to commit to ending violence against women and empower them. “The dominant story of the year has been the Ebola crisis that swept West Africa, claiming at least 11,000 lives and threatening hard-won social, economic and political achievements,” Mr. Ban said in his remarks on the Day, which is celebrated worldwide on 25 May. 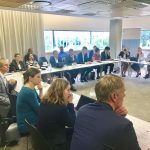 Now, we have to intensify efforts to get to zero and stay at zero cases, repair the damage and strengthen social and institutional resilience throughout the continent, Mr. Ban urged. As the continent observes Africa Day today, some South Africans say they support President Jacob Zuma’s pleas for unity. On Sunday, Zuma called on South Africans to learn the African Union (AU) anthem. He was speaking at the first of government’s Africa Day celebrations in Mamelodi, east of Pretoria. Those who were attending the event say Africa Day is an opportunity for South Africa to fight against xenophobia. “It’s a very important reminder that as we enjoy the fruits of freedom, we must reminder ourselves that we’ve to share the benefits of it with those who fought with us to see us free. Kenyan police have been involved in a fierce gun battle with militant Islamists in north-eastern Garissa County, leaving one officer wounded, a government spokesman has told the BBC. The al-Shabab militants had ambushed the police near Yumbis village in Garissa County, Mwenda Njoka added. He dismissed as propaganda al-Shabab’s claim that at least 20 policemen were killed in the attack. Al-Shabab is a Somalia-based group which has stepped up attacks in Kenya. The European Investment Bank (EIB) has given Madagascar a 300 million euro ($333 million) loan to go be used to rehabilitate roads, power and energy infrastructure, the island state said. The president’s office in Madagascar said in a statement late on Tuesday that the EIB loan would also help in emergency repair work resulting from cyclone damage. President Hery Rajaonarimampianina took office in January 2014 after successful elections in 2013 ended a political crisis after a coup in 2009 that prompted international donors to cut ties. Following the vote, donors, including the International Monetary Fund and World Bank resumed lending to Madagascar. The United Nations is sending experts to Madagascar to assess a claim by underwater explorers that they had found treasure and the wreck of a ship belonging to the pirate known as Captain Kidd, a U.N. official said. Ulrike Guerin, a specialist in underwater heritage for the U.N. cultural agency UNESCO, said Thursday that experts will examine artefacts at the site where American explorer Barry Clifford had been operating. The team is expected to arrive in Madagascar by the end of June, she said. The participants in the regional Conference of the UN Special Committee on Decolonization (the Committee of 24,) held recently in Managua, Nicaragua, has renewed called for the completion of the decolonization process in Western Sahara through the organization of a free and transparent referendum allowing the people of Western Sahara to exercise freely their right to self-determination. Refuting the Moroccan attempts to misrepresent the question of Western Sahara, the representatives of Venezuela, Ecuador, Cuba, Nicaragua, Ethiopia, Papua New Guinea recalled “the colonial character” of the current status of Western Sahara. Saharawi coordinator with MINURSO (the UN Mission for Referendum in Western Sahara), member of the National Secretariat of the Polisario Front, Emhamed Khedad, was received Thursday in Madrid by Spanish Secretary of State for Foreign Affairs, Ignacio Ibáñez. The talks focused on the latest developments of the question of Western Sahara and the prospects of the peace process led by the United Nations after the adoption of the latest resolution of the Security Council, as well as bilateral relations and cooperation. Mr. Khedad expressed the concerns of the Polisario Front in the face of the inertia that characterizes the mediation of the United Nations, which only serves to reinforce the Moroccan occupier in its arrogance and contempt for international law. Fighting in south Somalia between al Shabaab militants and government forces killed at least 24 people, while a rebel attack in the capital killed three Transport Ministry workers and a lawmaker, officials and the group said on Saturday. Al Shabaab launched an attack on government troops late on Friday in the Awdigle district and Mubarak village in the Lower Shabelle region, south of the capital Mogadishu. Clashes lasted until early Saturday and killed at least two dozen people, residents said. In two gun attacks in the capital, the group, which wants to topple the Western-backed government, killed three people working for the Transport Ministry and in another assault shot dead a lawmaker, police and a parliamentarian said. The top United Nations official in Somalia has condemned a deadly attack against two Somali Members of Parliament (MP) and reiterated the Organization’s support for the country’s democratic process. Yusuf Muhammad Dirir, a Member of the Federal Parliament, was shot and killed on 23 May along with his driver while another MP, Abdullahi Boss Ahmed, was wounded in the same attack, according to a press release issued by the UN Assistance Mission in Somalia earlier today. South Sudanese government on Monday said it welcomed the decision by the East African regional bloc of the Intergovernmental Authority on Development (IGAD), which requested the neighbouring Sudan to play a leading role in resolving the ongoing internal conflict in South Sudan. South Sudanese foreign minister, Barnaba Marial Benjamin, said his government would welcome Khartoum’s mediation’s process which would address root causes of the conflict and respect for sovereignty of the new independent state. “We welcome any initiative for peace as long as that initiative addresses the core issues and does not undermine sovereignty of the Republic of South Sudan,” he told reporters in the capital, Juba. The South Sudanese army (SPLA) has vowed to disarm all government-turned rebel fighters after they regained full control of Malakal, the Upper Nile state capital on Monday. The country’s defence minister, Kuol Manyang Juuk told reporters in Juba that the army was moving to clear the young nation of rebels. “We [SPLA] captured Malakal this morning,” the minister told reporters shortly after he was summoned by the council of states. “We have to disarm those who took up guns because if they opted to take up guns, then we must meet them with guns,” he added. South Sudan’s military has gained ‘full control’ of the strategic oil town of Malakal, after days of fierce fighting with rebel forces, the government has said. Army spokesman Philip Aguer said troops loyal to President Salva Kiir had “completed their control of Malakal town” after several days of fighting during which “whole enemy force was destroyed”. However, he also said defence chiefs had “ordered a hot pursuit to track down the rebels wherever they may be heading from Malakal”. There was no immediate reaction from the rebels, who attacked the town 10 days ago after a pro-government militia leader defected to the rebels.